The discovery that our universe is expanding certainly ranks among the most important scientific contributions of the 20th century. Only a few years before this discovery, most astronomers believed that our universe consisted solely of our Milky Way galaxy. But we've discovered so much more since then. So who's credited for this discovery? Most people would say Edwin Hubble — the revered astronomer with a famous telescope bearing his name. There were several other astronomers, however, who significantly contributed to this discovery. Astronomer Knut Lundmark, for instance, provided some of the first observational evidence for an expanding universe. Now, an historical analysis has revealed that some of Lundmark's measurements were far more accurate than Hubble's. On top of that, Lundmark conducted these measurements five years before Hubble's expansion discovery. When Hubble looked at distant stars and galaxies, he noticed a peculiar correlation. Fainter stars, which were presumably farther away, had higher redshifts, according to Hubble's measurements. In other words, light emanating from more distant stars lengthened more in wavelength than closer stars, and all distant stars demonstrated some sort of this Doppler shift. This Doppler shift appears when a light source is moving either away or toward an observer (namely, astronomers on Earth such as Hubble). When objects move away, the light is redshifted — it increases in wavelength. Consequently, because the more distant galaxies had a higher redshift, Hubble had evidence that the universe as a whole was expanding. Hubble formulated this observation mathematically, and it has become a pillar of Big Bang cosmology. The equation now known as Hubble's law essentially states that a galaxy's redshift and distance are proportional, and the constant of proportionality is called "Hubble's constant." This constant has been refined throughout the years as astrophysicists have collected increasingly accurate data. Hubble was pretty far off initially — he missed current estimates by at least an order of magnitude. Lundmark, however, made distance measurements consistent with a constant very close to today's estimates. In fact, Steer writes that Lundmark's measurements were within 1 percent of today's best estimates He also made this estimate in 1924, five years before Hubble! This revelation about Lundmark was published in Nature late this year by Ian Steer — a co-director of the NASA/IPAC Extragalactic Database of Galaxy Distances. In early 2013, he will reveal more at a large astronomy conference in California. To be fair, Lundmark based his estimates on some unproven methods and at least one unfounded assumption, according to Steer's paper. Nonetheless, Steer's analysis indicates that Lundmark may have had the earliest compelling observational evidence for an expanding universe. Just last year, Hubble's legacy suffered a different controversy surrounding this same discovery. One of Hubble's contemporaries — astronomer Georges LeMaitres — published theoretical evidence for this discovery a few years prior to Hubble. Several astronomers and historians believe Lemaitre should receive more credit for the discovery, and some have pushed to rename Hubble's law to reflect Lemaitre's contribution. The controversy erupted when astronomers noticed curious edits to one of Lemaitre's early papers. The more conspiracy-minded astronomers believed Hubble may have actively censored the work of his competitor to maintain his own legacy. These allegations, however, appear to be false. A later analysis (PDF) revealed that Lemaitre, of all people, was behind the mysterious edits. We'll have to see if a similar situation arises when the full extent of Lundmark's contributions are revealed in January. I don't think anyone will be renaming the Hubble Telescope anytime soon, however. "Lundmark established observational evidence that the Universe is expanding. Lemaître established theoretical evidence. 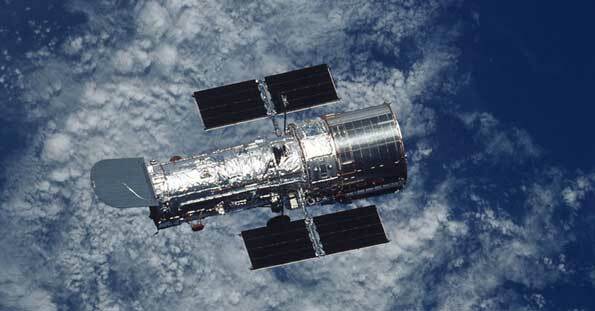 Hubble established observational proof." What happened to my battery?